According to an article in the March 2006 issue of the journal "Obesity," voluntary physical activity and exercise training can favorably influence brain plasticity by facilitating neurogenerative, neuroadaptive, and neuroprotective processes." This means that exercise provides the brain with the continuous ability to create new connections between neurons in order to facilitate learning, critical thinking and memory. The article further states that exercise improves the brain's adaptive capability, which "has implications for the prevention and treatment of obesity, cancer, depression, the decline in cognition associated with aging, and neurological disorders such as Parkinson’s disease, Alzheimer’s dementia, ischemic stroke, and head and spinal cord injury." Is Weight Lifting Different from Other Exercise? Cardiorespiratory, or aerobic, exercise is a physical activity that is sustained and performed at an intensity that requires large amounts of oxygen to meet the energy demands of the lungs and heart. Examples of "cardio" exercise are swimming, jogging, walking and using a rowing machine. Alternatively, weight lifting involves short, intense bursts of exercise that do not require oxygen. Lifting weights is considered an "anaerobic" activity because during the act of lifting a heavy barbell, muscles need much more than oxygen. Instead, they generate other metabolic substances such as lactic acid to accomplish a lift. While stored and blood glucose, as well as fats, are consumed during aerobic activity, phosphocreatine and muscle glucose are used as fuel during weight lifting. Literature regarding the long-term effects of weight-lifting on the brain appears to be scant, although there is much written about the effects of long-term steroid use on the brain. Steroids are hormones that some weight lifters use to enhance performance and muscle mass. However, research regarding the effects of weight lifting on various physiological systems of the body can be found, with some implicating that weight lifting may have beneficial long-term effects on bone mass rather than the brain. According to a study published in the June 2000 edition of “Neurological Research,” cerebral blood flow velocity induced arterial pressure within the brain up to 450/380 mmHg. The authors state that "catastrophic brain injuries such as stroke, cerebral hemorrhage, subarachnoid hemorrhage, retinal hemorrhage and retinal detachment have been associated with weight-lifting." An article published in the January 25, 2010, edition of "The New York Times" discusses a study at Vancouver General Hospital involving older women and the effect of strength training on brain function. Researchers discovered that older women aged 65 to 77 who performed one or two hours of strength training with dumbbells and weight machines every week experienced improved cognitive functioning one year later. They were given exams testing their executive and planning abilities prior to the study and again a year later, after engaging in weight lifting and other strength training activities. The results showed they scored higher on the tests after one year of performing these exercises. Neuroscience has proved that regular exercise, regardless of whether it is walking or weight lifting, seems to increase serotonin output in the brain. Correlated with depression, serotonin is also responsible for mood, appetite and sleep. When insufficient quantities of serotonin exist in the brain, all of these physiological and mental components are adversely affected. 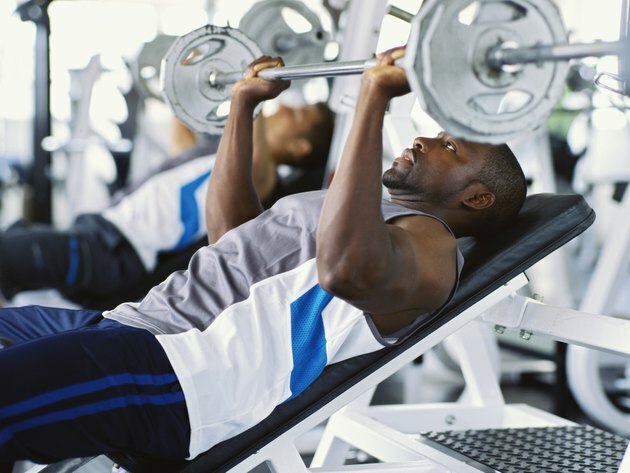 Weight lifting and other exercises generate the release of endorphins in the brain, which serve as an analgesic and contribute to that "feel good" sensation following a workout, Referred to as the "monoamine hypothesis," which includes dopamine production as well as serotonin and endorphins, these benefits would seem to be an advantageous long-term effect of weight lifting on the brain, as long as the weight lifting does not involve steroid use. Steroids have been known to induce aggressive tendencies in individuals using them.